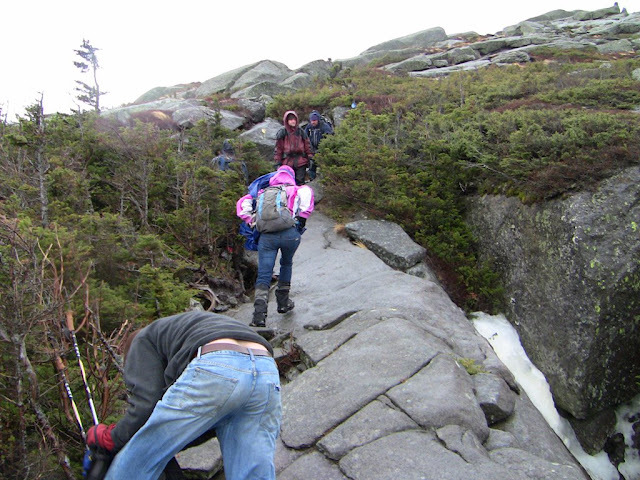 Comments: Started out from ADK Loj around 1130 and made fast progress on the iced trail. Donned Stabilicers at the trailhead and never switched out for the rest of the hike. Fairly warm air for December, with mid-40s at the bottom ranging into the low-30s as we ascended toward the junction to Wright. 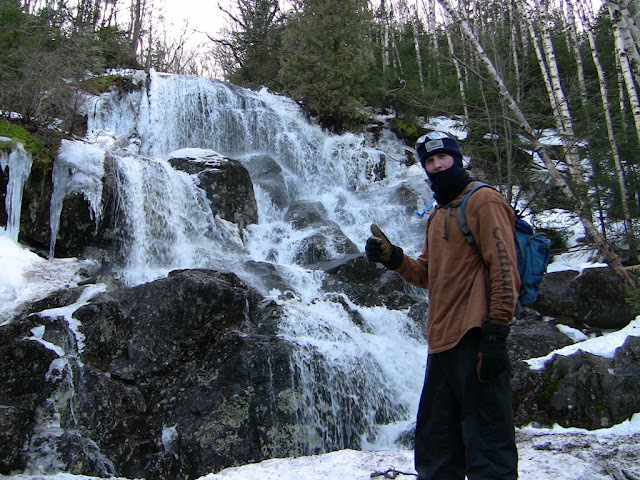 The waterfall was running strong with all the snowmelt caused by the past few days' rain. 3/5 of our group did make the summit. The other 2 of us turned back due to the wind intensity and the uncomfortable cold w/ our inappropriate gear. We estimated 80-100mph winds on Wright, turns out that by drawing on local comparisons it was probably running at 100mph+. The awesome power of Mother Nature! 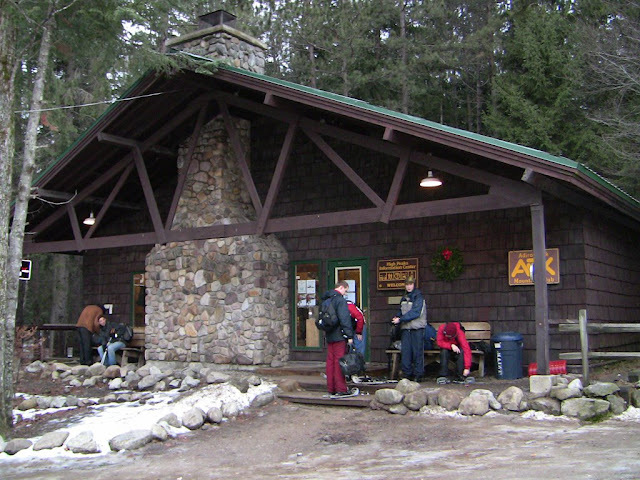 Returned to ADK Loj ~1630 and enjoyed some Hot Cocoa from the ADK shop. Special Equipment Required: Stabilicers were key on the icy-slick trails. I regretted not having my outer-mittens or snow/wind goggles for the top.